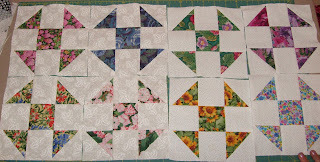 Patty (VT_Patty) and her daughter, Faye, made these 8 blocks. Our total so far this month is 94. Wow.